John Mayer and Chick Corea—New Jazz Album in the works. Hope they release it soon! Chick Corea and John Mayer recording at Electric Lady Studios in New York. On May 11th 1997 Chick Corea received an Honorary Doctorate from Berklee College of Music, a few months later John Mayer came to Boston to study, and last December they met while they were guests on Stevie Wonder’s “House Full of Toys” Concert. Chick Corea and John Mayer decided to jam and in the end of February 2014 they got together to record in Electric Lady Studios in New York. They haven’t as of yet, released anything, but John Mayer posted a rough mix of one of their songs/improvisations called “Little Sur” followed by some insights on the creating process. 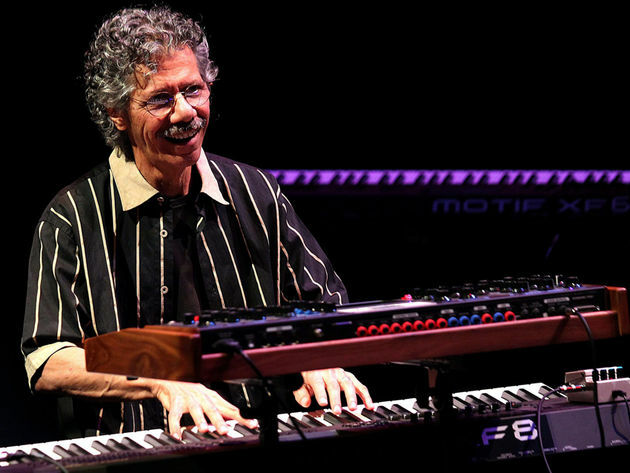 Chick Corea also released a podcast where they discuss their project and Improvisation. For more of Chick Corea’s podcasts explore this link. 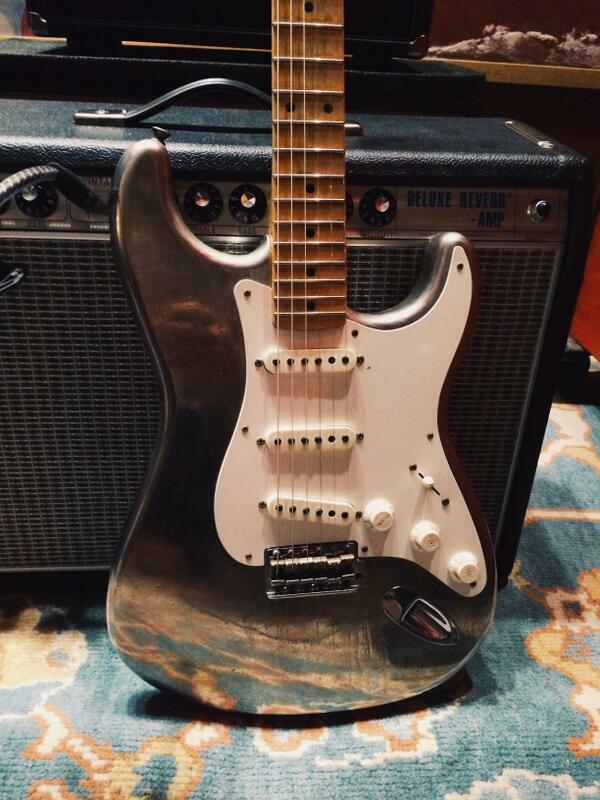 Mayer has also presented 2 clinics at Berklee College of Music. The first you can find on PULSE and online. 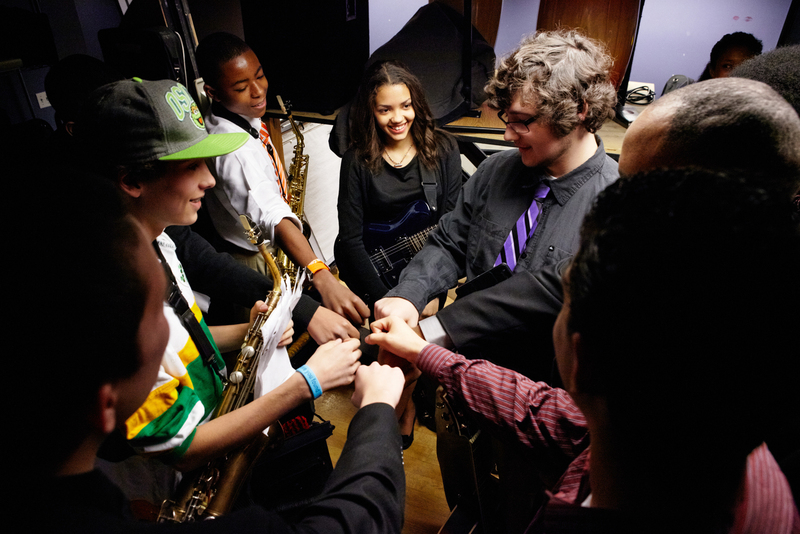 You can read about the second clinic on our Berklee Blog or listen to it. Words of wisdom from John Mayer and Chick Corea! 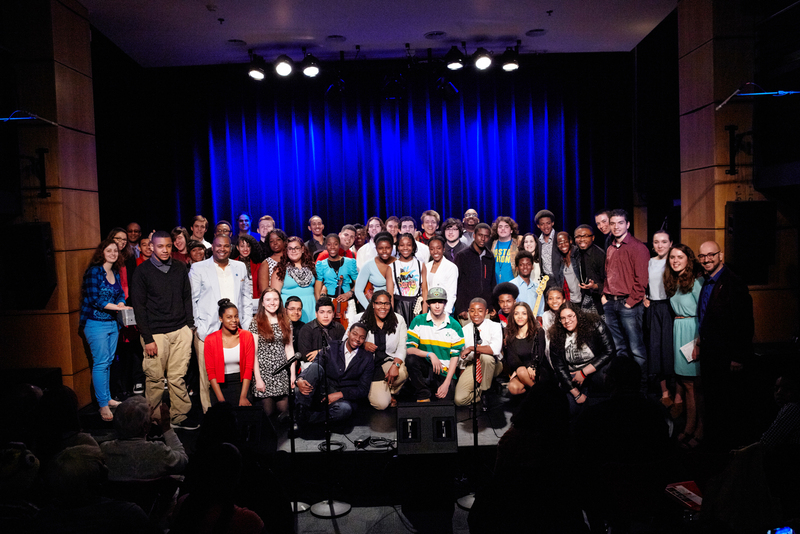 In the David Friend Recital Hall on May 3rd, the Berklee City Music Mentoring Program held their annual Completion Ceremony Concert. At this event, the ensembles performed an array of songs, ranging from jazz standards to current Top 40 hits. The ten graduating seniors were also given parting gifts to take with them on their future endeavors. This year, the Mentoring Program had record numbers, with forty-one students and forty mentors combining to make one great concert with some notable performances. The Jazz Ensemble debuted their original group composition, “Q-Improvise” led by Milad Zendehnam. Featuring mixed meters and several different key signatures playing simultaneously, it was entertaining to the ear on several levels. The Rock Ensemble turned up the intensity in the room with their performance of Paramore’s “Ain’t It Fun” and “Still Into You”, finishing their set with “I Write Sins (Not Tragedies)” by Panic! At the Disco. The Pop Ensemble, dressed in matching black, blue, and white, ending the show on a an energetic high note, getting the crowd dancing in their seats with Top 40 hits from Estelle, Bruno Mars, Justin Timberlake, and Pharrell Williams with an original rap thrown in. City Music Boston also presented three other concerts on the weekend of May 3-4: the Preparatory Academy Completion Ceremony, the Composer/Songwriter/Arranger Concert, and the High School Academy Completion Ceremony. 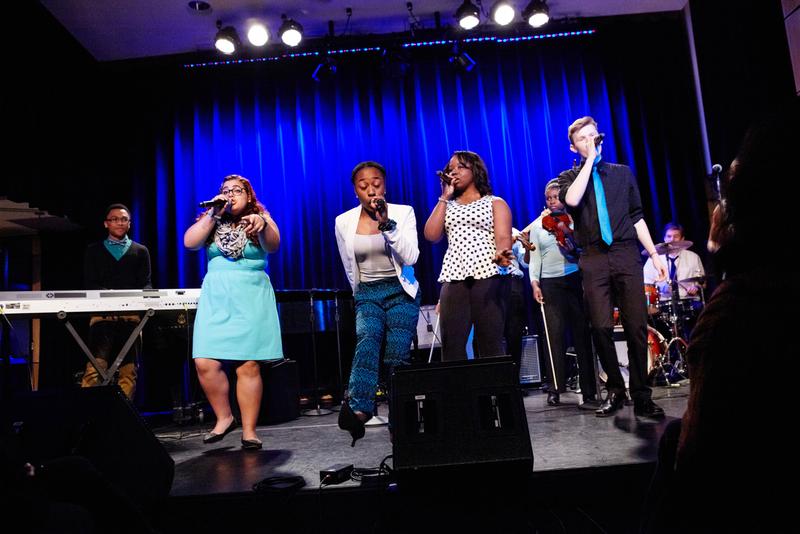 City Music Boston ended its year on Saturday, May 17 with the annual Faculty Outreach Concert, with featured performances by Boston Public School students at Berklee Performance Center. 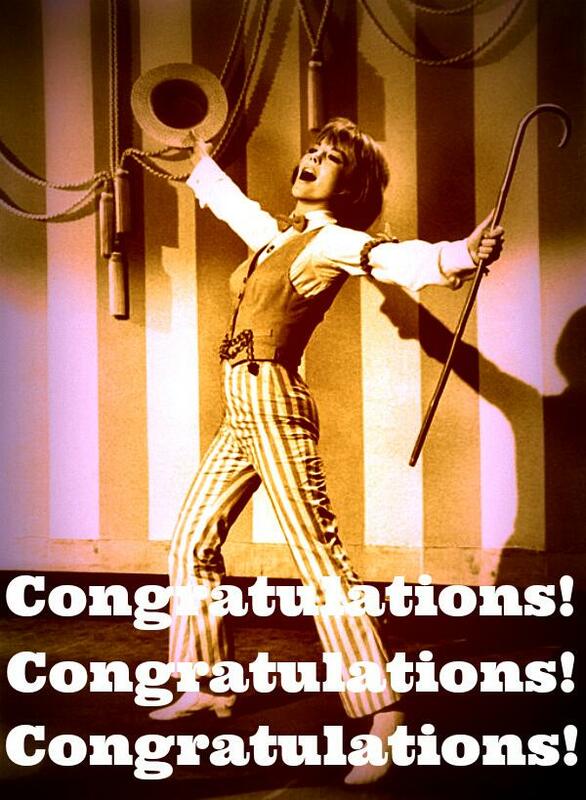 Congratulations to all of the students, teachers, and staff on another successful year! A Love Supreme, John Coltrane’s signature album, was recorded in one session with his quartet on December 9, 1964 at the Van Gelder Studio in New Jersey and released by Impulse! Records in February of the following year. 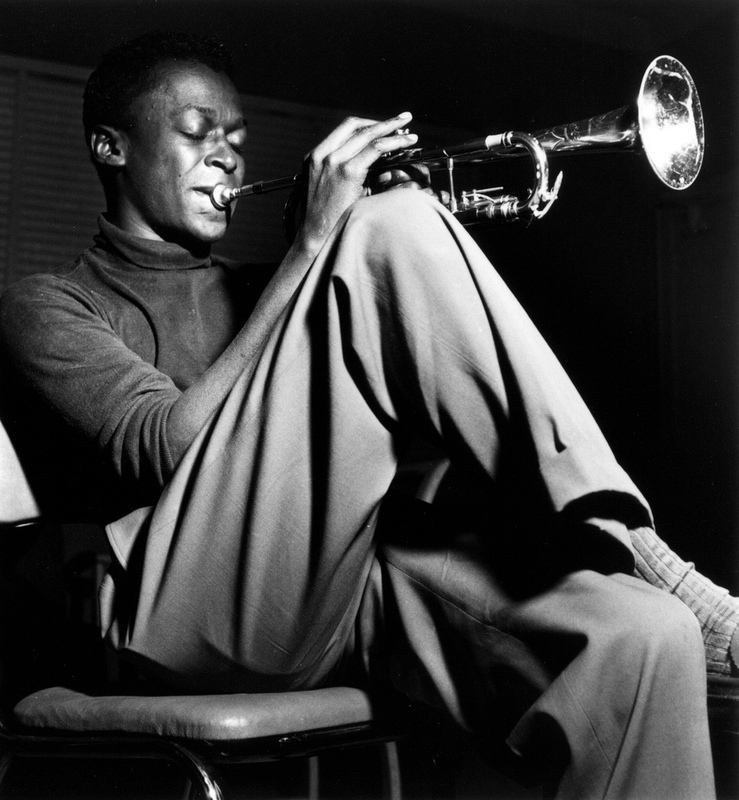 The intricate piece flourished from a four-note seed of a relatively simple idea based on the words “a love supreme”, that allowed the musicians—tenor saxophonist John Coltrane, pianist McCoy Tyner, drummer Elvin Jones and bassist Jimmy Garrison—to subtly and carefully entwine it into a 33-minute long four-part suite. The four movements “Acknowledgement,” “Resolution,” “Pursuance” and “Psalms” symbolize the stepping-stones of Coltrane’s spiritual quest and struggle for purity while overcoming drug and alcohol addiction, which resulted in being fired from Miles Davis’ group. As a true jazz alchemist, Coltraine transformed suffering into a hymn, announcing a major thematic trend in his later works. 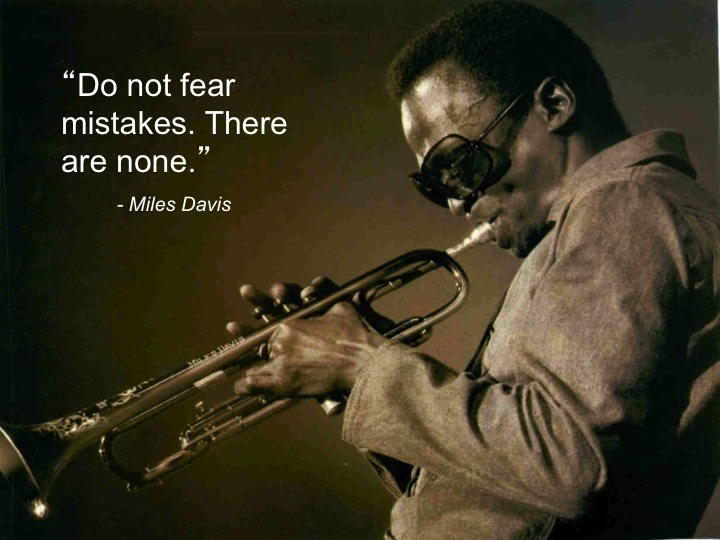 Coltrane was entirely involved in every aspect of A Love Supreme: recording the chant, writing the liner notes and composing a devotional poem to accompany the crowning movement “Psalms” where he performs what he calls a “musical recitation of prayer”, “playing” the words on the saxophone instead of speaking them. Some scholars have considered this performance an homage to the sermons of African American preachers. 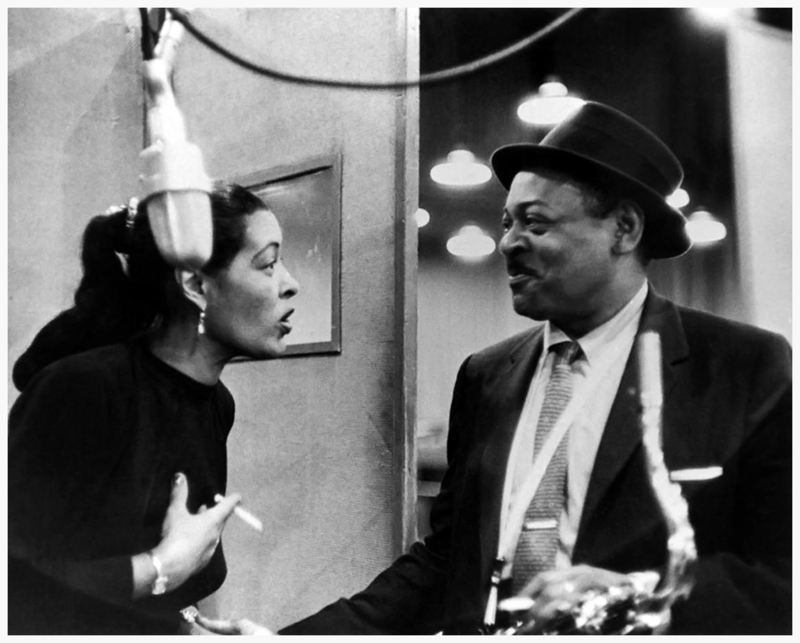 Even though there are no recorded interviews of him speaking about the concept behind his masterpiece, this exalting piece of music held an evident personal significance for the ingenious saxophonist. In fact, Coltrane gave very few verbal directions even to his band mates. Tyner remembers the unusual, almost magical atmosphere surrounding the session and calls the album a culmination and natural extension of chemistry honed through years of playing together live. Powerful and vulnerable at the same time, A Love Supreme exudes with the attuned emotional effusions of each member of Coltrane’s quartet, bringing together the hard bop sensibilities of his early career, Miles Davis-inspired modal influences and the free jazz style he later adopted. The album’s influence has been extensive from John McLaughlin and Carlos Santana guitar version of “Acknowledgement” to vocal versions by Will Downing, José James and Kurt Elling. The suite also forms four tracks on the Branford Marsalis Quartet album titled Footsteps of Our Fathers. Wynton Marsalis followed his brother’s footsteps and recorded the suite in 2003 with the Lincoln Center Jazz Orchestra. By December 1965 Coltrane’s monumental achievement was named Downbeat magazine’s Album of the Year, nominated for two Grammy Awards and listed by Rolling Stone as one of the 500 Greatest Albums of All Time. Quite popular for a jazz album, selling about 500,000 copies by 1970, it still remains a doorway to Coltrane’s music to many people who wouldn’t consider themselves jazz fans. 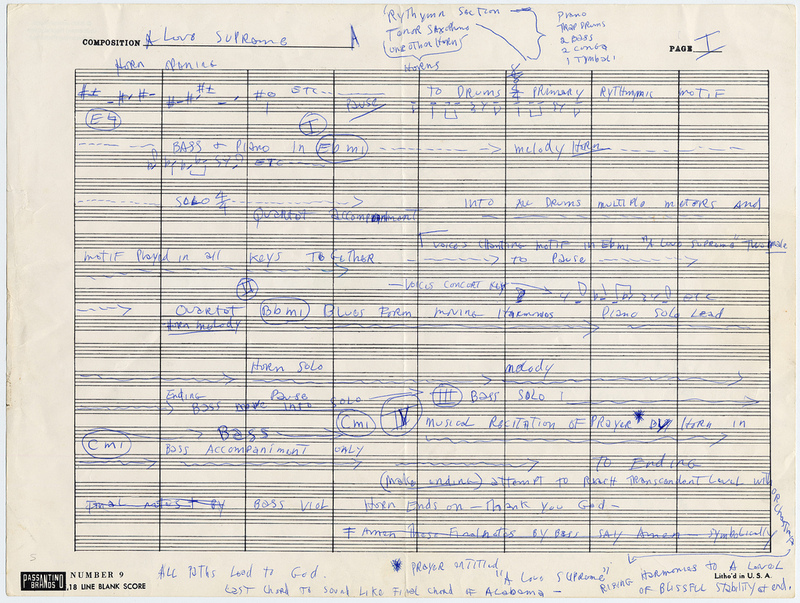 As further testimony to the recording’s importance, the manuscript for the album is part of the collection of the Smithsonian Institution along with 25 rare and never before displayed photographs from the A Love Supreme recording session and one of Coltrane’s three principal saxophones that his son Ravi generously donated in March 2014. Fun Fact: Coltrane’s home in Dix Hills, Long Island, has been considered as the site of inspiration for A Love Supreme. Now, Coltrane’s son Ravi, Carlos Santana and others want to turn this house into a museum and learning center. They are trying to raise the funds to make this dream a reality.